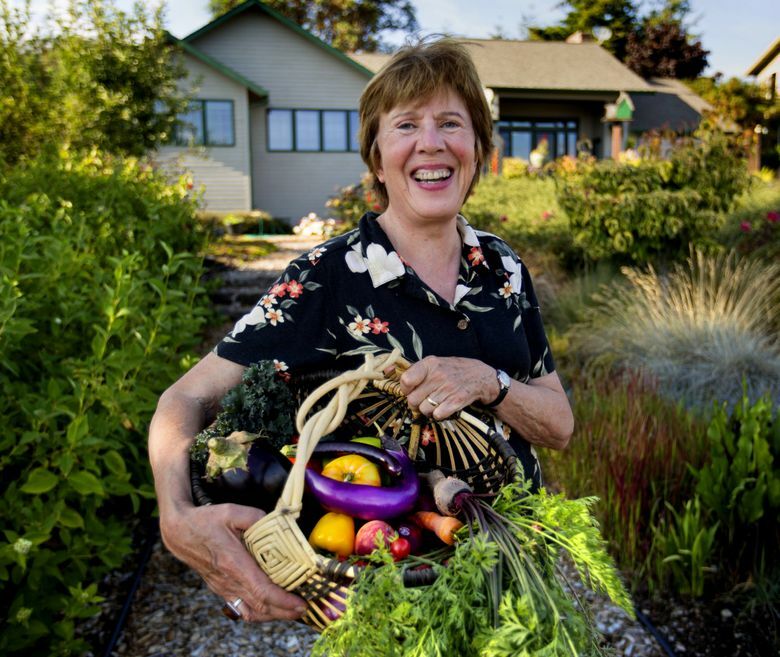 Robinson read 6,000 research reports before writing her 2013 New York Times best-seller “Eating on the Wild Side: The Missing Link to Optimum Health.” Yet her test garden for cancer-preventing, nutrition-boosting fruits and vegetables doesn’t look a bit like the science experiment it is. “I’d dreamed of a garden facing south and sloping down. Then we walked onto the deck, and here it was,” says Robinson, who with her husband, Rick Mellen, bought the third-of-an-acre property on Vashon Island in 2006. 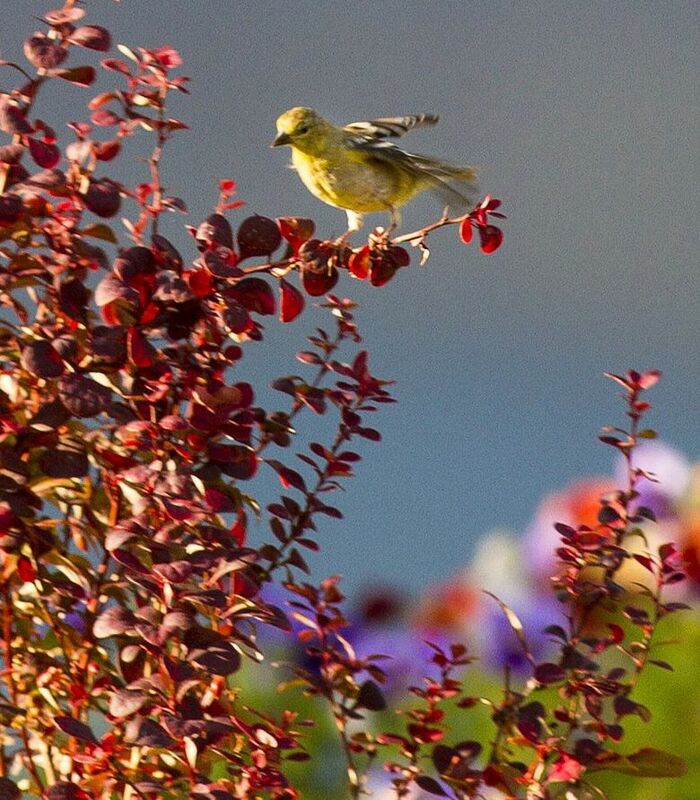 Robinson loves the views of sky and sea as much as the raspberries ripening along the fence line, and myriad varieties of kale and radicchio trimming the beds. “We’ve been breeding the medicine out of our food for years,” says Robinson. She explains that it’s only in the past decade we’ve had sensitive enough instruments to detect the 20 most vital phytonutrients in foods. Robinson is studying these scientific advances in her quest to select and grow antioxidant-rich edibles that help detoxify our bodies and slow tumor growth. Such as red ‘Ruby Queen’ corn and purple Peruvian potatoes. When it comes to blueberries, she grows, among others, the large and especially nutritious late-season ‘Elliott’. Also purple carrots, which is how they originally came to us from Afghanistan. “We’ve had a wonderful response from market farmers who want to grow foods in this niche market,” says Robinson. What are the most phytonutrient-rich vegetables? Robinson ticks off “kale, spinach, lettuce, asparagus and artichokes.” She cautions that asparagus and broccoli are “eat me first” vegetables because their nutrition declines so quickly after picking. The darker the vegetable the more nutritious — search out purple, blue, black and red varieties for their health-boosting properties. 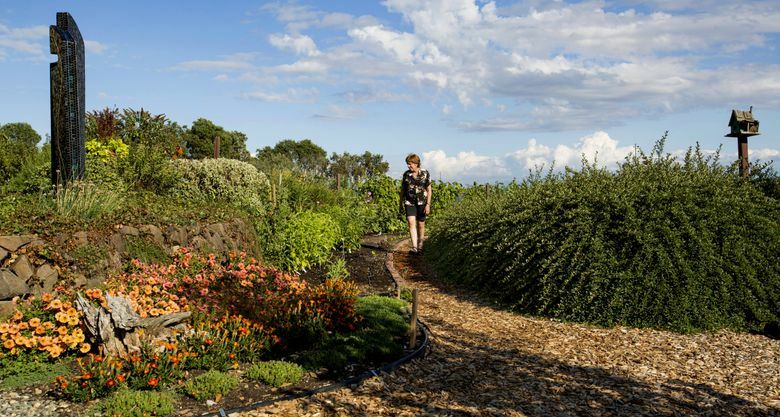 Robinson worked with Vashon designer Terry Welch to lay out the garden’s paths and borders. Welch added tall, colorful pots to punctuate the beds, some dripping water, others with wild strawberries and rhubarb burgeoning up around their base. Herbs are planted close to the house; rosemary, oregano, parsley, basil, tarragon and mint are tops in nutrition as well as taste. 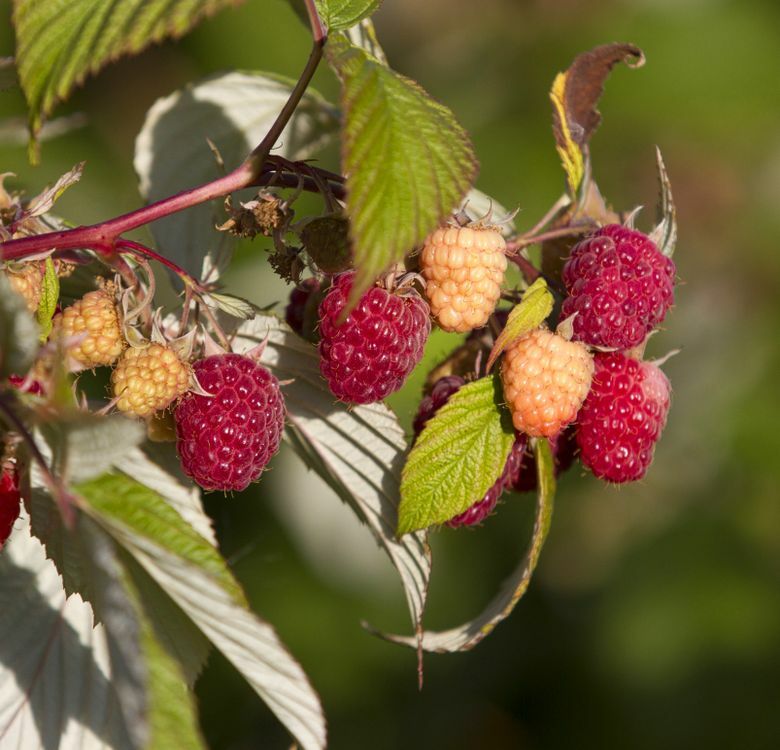 “Eat your fence,” suggests Robinson, who delineates the perimeters of her property with rows of berries and espaliered apple trees. Lilies grow up among the cabbages, and yellow dahlias center the tomato bed. 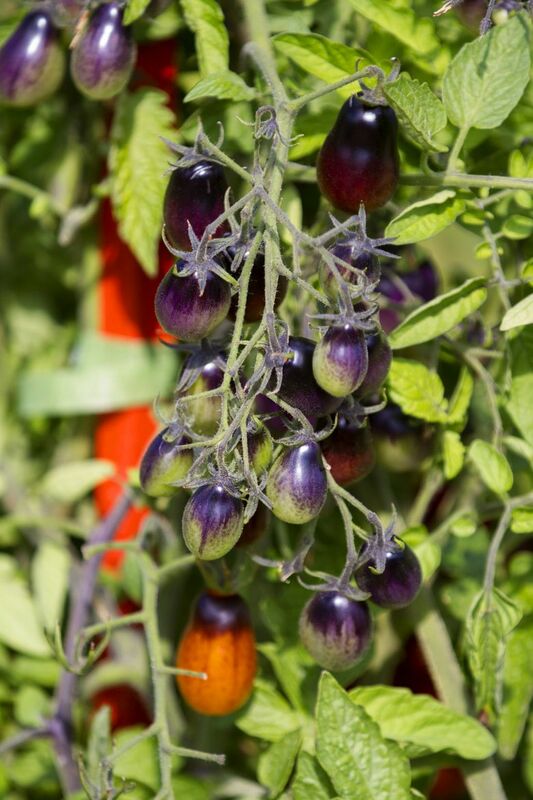 ‘Juliette’ is her favorite cherry tomato, because it’s as sweet as ‘Sun Gold’ and far more nutritious. She grows red-foliaged ‘Bull’s Blood’ beets, calling this vegetable the Viagra of the vegetable world. “Beets relax arteries everywhere in the body, and you know what that means,” she says. Every morning, Robinson strolls the paths of her garden, coffee cup in hand. She might pick a ‘Liberty’ apple on her rounds, a variety she’d love to see grown in every garden. It’s immune to apple scab, highly productive and three times more nutritious than the best commercial apple. “We walked away from our wild diet and developed the diseases of civilization,” says Robinson, who is doing her best to put wild and beautiful fruits and vegetables back in our gardens, markets and diets. Valerie Easton is a Seattle freelance writer. Reach her at . Mike Siegel is a Seattle Times staff photographer.